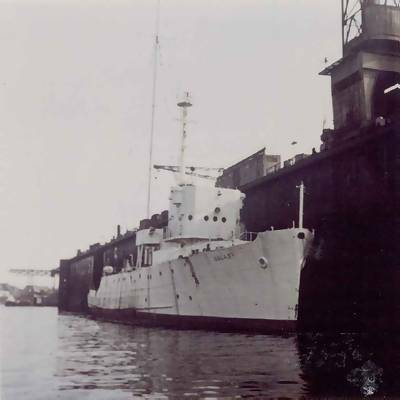 When Radio London closed down in August 1967, its ship, the mv Galaxy, was taken to Hamburg. 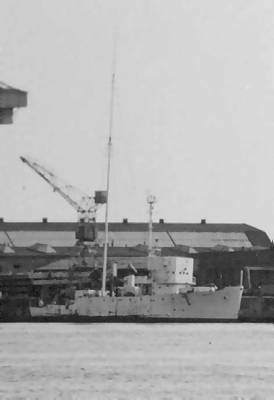 It lay idle in harbour for a while until work began to re-fit her for a new radio station to be called Radio Nordsee. 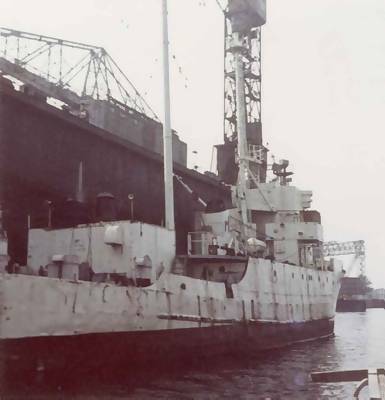 This project never came to fruition, although the name was later used by two Swiss businessmen for their own offshore venture, launched from a different ship in 1970. 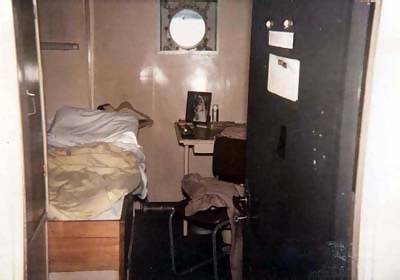 These photos were taken while the ship was in Hamburg but before the renovation work began. They have been kindly donated to The Pirate Radio Hall of Fame by Hans Stieper. His story of how they came to be taken is below. Photo 1: The Galaxy in Hamburg harbour, from the first visit. See below for details. Photo 2: The Galaxy, from the second visit. Photo 3: From the second visit. Photo 4: The cabin being used by the security guard. Photos 5 & 6: In the main DJ studio. Photo 7: In the main studio. Photo 8: In the news studio. Hans Stieper tells the origin of these rare photographs and recordings. Bernd and Tony had read in the press that the Galaxy was out there somewhere. They wanted to know where and, if possible, get on board and have a look around. Their first step was to hire a small boat. After some investigation they found the Galaxy and took a picture (number one, above). That was sometime during 1968 although I do not have any exact dates. A few weeks later they had another look for the Galaxy which had been moved to a different part of the harbour. They found her and took two more pictures (numbers two and three above). The next step was to attempt to get on board. This involved going through customs. They achieved this simply by saying that they were expected on the Galaxy! They found an elderly security guard living on board. He must have realised what it meant to these two youngsters because he let the guys take a look around, showing them the transmitter room and studios. He left them on their own for a while. It seemed that everything needed to run a radio station from this ship was there. If only it could be switched on! After about an hour they left the Galaxy, thinking about coming back for another visit. Thanks to the guard it had all been very easy. They returned a few days later. This time they came prepared and took some small 3 inch open reel tapes attached to their bodies and a camera. This second visit, again on an unknown date during 1968 (or 1969), was quite a bit longer than the first. They found the guard still living there and again there were no problems with customs. They were allowed to have another look around on their own. 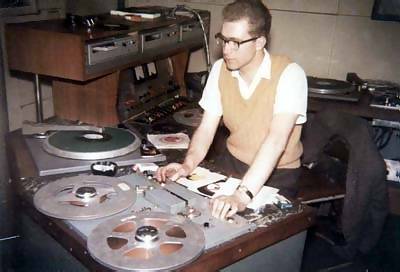 They made their way to the studios, found everything in full working order and started listening to the big reels of tapes and Spotmaster cartridges stored there. In the news studio they managed to copy some items of audio onto their tiny reels of tape. One was a studio recording of Ed Stewart's interview with Beach Boy Bruce Johnston, dating from his visit to the ship on Friday 11th August 1967. Although the interview was broadcast live, it was taped for posterity. This is a slightly edited recording. Another item on their tapes is from August 1966. It is part of one of the phone reports Paul Kaye did with Kenny Everett while he was with The Beatles on their final tour of the United States. Sadly, as with the Bruce Johnston interview, they could not copy the entire programme as their three inch spools of tape only ran for about seven and a half minutes. The, slightly edited, recording is to be found on the previous page. 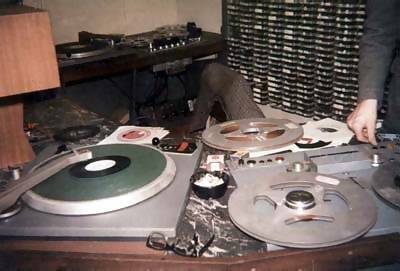 The final recording was made from some of the Spotmaster cartridges that the DJs used for playing jingles and advertisements. 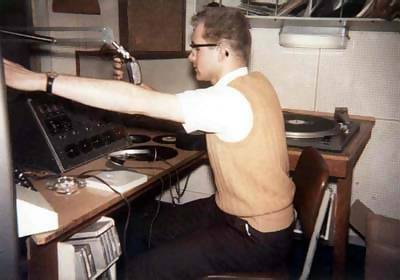 They belonged to Tony Blackburn but must date from his time on Radio Caroline, before he joined Big L.
Bernd and Tony took more pictures and, after some hours, secured the recorded tapes to their bodies and were on their way home with proof they really had been on board Radio London. They tried to return one more time to copy more of the material but this time they were unsuccessful. They hoped to visit on a public holiday but work must have started to convert the ship into the German Radio Nordsee (which in the end never materialised). They were not allowed on board. I was told this story and given the recordings and pictures by Bernd in 1989. He lost contact with Tony sometime during the seventies. If Tony sees this, please can he contact us via The Pirate Radio Hall of Fame. As far as I know these are the only surviving studio recordings of Radio London to be taken from the Galaxy while she was in Hambourg. It appears that all the studio tapes and cartridges on the ship were later erased. The never-to-be Radio Nordsee hired six German DJs. 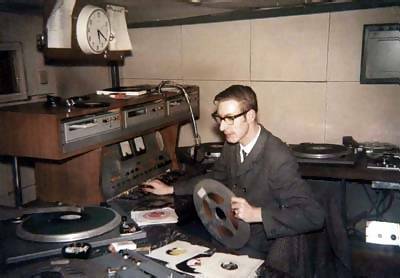 In a ‘clean-up’ of the ship, over a period of five weeks, they recorded over any available tapes and cartridges in preparation for their new station. All the Big L heritage was simply wiped away. And all for nothing. Many thanks to Hans for sharing these fascinating items and telling the story behind them, and to Bernd for giving his permission for us to include them on The Pirate Radio Hall of Fame. There are pictures of the Galaxy's final days in Kiel harbour on the Radio London website.